How can we act sustainably in a world where the majority of the most affected people are not able to access or share information? Sustainability is one of the fundamental development challenges humanity faces today. The scale of the issues and the inefficiency of existing approaches mean that there is an urgent need for innovative solutions to promote sustainable resource management of key environments such as the rainforests. Local and indigenous communities often possess unique knowledge about their natural resources, which despite being increasingly recognised as critical for sustaining and protecting the environment, it is difficult to capture in a digital format, in particular given their lack of technical expertise. Yet, their knowledge is required in digital form to reach a wide audience and particularly those policymakers who need to base their decisions on the information collected. The ExCiteS research group at UCL has been developing Sapelli since 2012, an Android application that facilitates environmental data collection across language or literacy barriers through highly configurable icon-based screens. The project will include working with non-literate forest communities in central Africa and seek to enable these vulnerable communities to conduct their own environmental monitoring or mapping, for more information, see papers by Stevens et al. 2014 and Vitos et al. 2017. The successful candidate will join a team of anthropologists, ecologists, geographers, computer scientists and designers and focus on extending the undertaken research work. 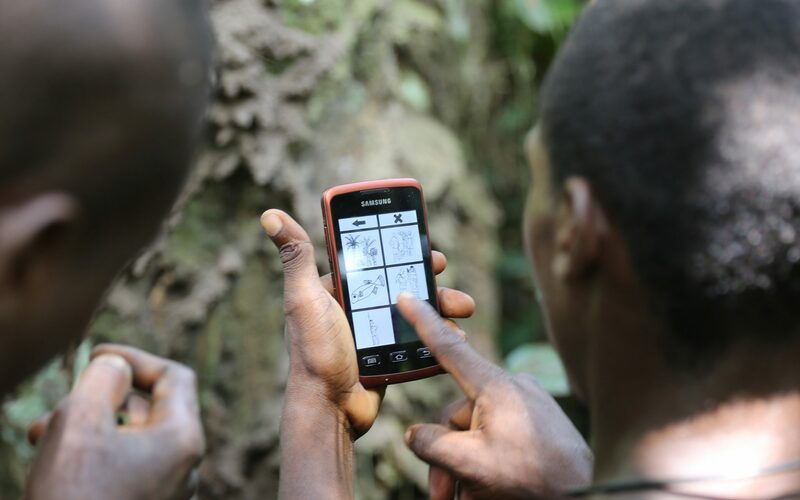 This will include the design, prototype and implementation of mobile applications that answer the needs and wishes of users in remote and challenging environments such as the Congolese rainforest. Within the project, there is scope of research from data collection (such as data validation, user authentication and designing user interfaces for non-literate users) to data visualisation (such as representing collected data in meaningful and culturally appropriate ways for non-literate users). The PhD studentship is part of the ECSAnVis (Extreme Citizen Science: Analysis & Visualisation) project that is funded by the European Research Council (ERC). The ECSAnVis project takes the ambitious step of developing geographical analysis and visualisation tools that can be used, successfully, by people with limited literacy, in a culturally appropriate way. For more information on the ExCiteS research group and ECSAnVis, please visit here and here. Recent university graduates are welcomed to apply as well as professionals with relevant experience wishing to enter academia. The applicants should possess a good honours degree (1st Class or 2:1 minimum) in a relevant discipline such as Computer Science, Electronic Engineering or Human-Computer Interaction. The ideal candidate should also hold an MSc in Computer Science, Human Computer Interaction, Human Factors, or Geographical Information Science and must have experience and skills in Software Engineering or Human Computer Interaction. The ideal candidate should have excellent verbal and written communication skills and should be able to work as part of a team to design, develop and deploy software prototypes. Preferably, the candidate should have experience in programming in Java and Android and have a good understanding of code management systems such as GitHub. Skills in using Python would also be desired. Finally, since the case studies might involve travelling to central Africa, the candidate should have a willingness to travel in remote forest locations and thus French language skills would be desirable but not essential. The ability to be patient and understanding with local people is essential in this regard. Any time between January and November 2018, at a time that is suitable to the candidate. A successful candidate will be asked to work with the Extreme Citizen Science group for two weeks (expenses covered) before registering to the PhD programme. Applicants should send a cover letter, 2-4 page research proposal, examples of academic writing (e.g. BSc or MSc dissertation), code outputs from past work and CV to Michalis Vitos (michalis.vitos@ucl.ac.uk) and Judy Barrett (judy.barrett@ucl.ac.uk). The cover letter should include a personal statement explaining your interest in citizen science, why you are interested in our project and how you would see your work integrated into ExCiteS vision and activities. You are welcome to contact Prof Muki Haklay (m.haklay@ucl.ac.uk) or Michalis or any other ExCiteS members with queries about your proposal or for an informal conversation. This is an open post so there is no deadline for submission of the application. We recommend that interested candidates get in touch with main contact people and submit an application as soon as possible. Research travel and equipment costs will be covered by the grant.